The packs are currently undergoing a massive reworking. I'm making my own parts pack that will be far superior to any current parts pack. I decided to postpone this pack until the 6 I am working on are finished. Revised the page, I am working on the six new packages, so that is taking a lot of my time. I'll try to post updates here, you can look through them to see pictures. 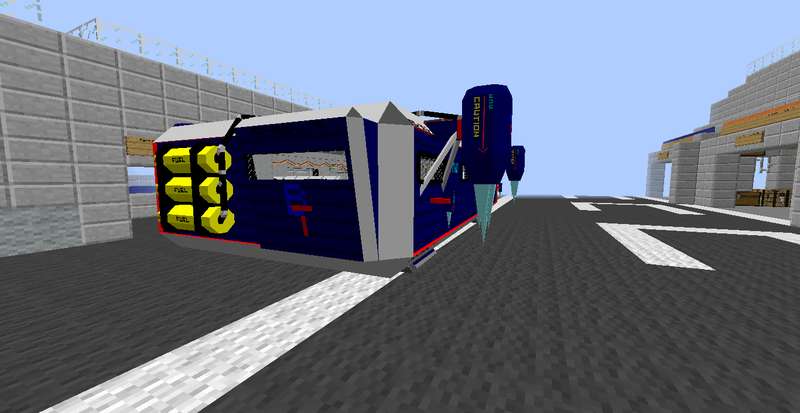 I plan on making my own parts packs, that way there aren't compatibility issues. Here are pictures of some of the stuff I made so far, like I said, these are also on the main page, that will always be as up to date as possible! 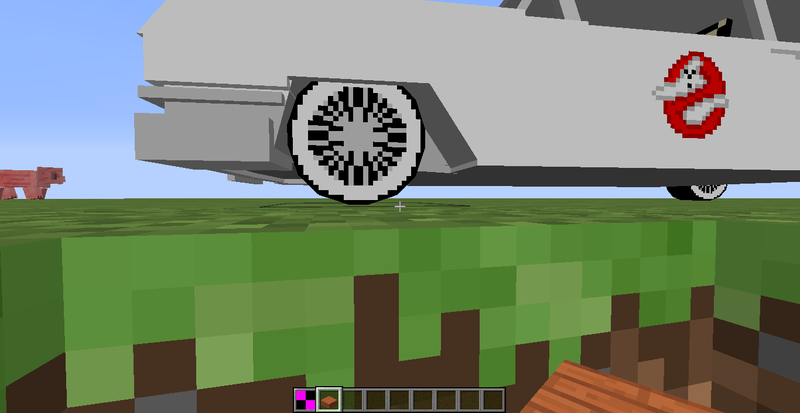 I made the wheels on the Corvairs round to match the rest o the pack, and I am going to use this wheel style from now on to make things more consistent. I also did the same with the Ghostbusters car and the BTTF Time machine. Where should I download the mod? *cough**cough* sorry, got a little exited there. 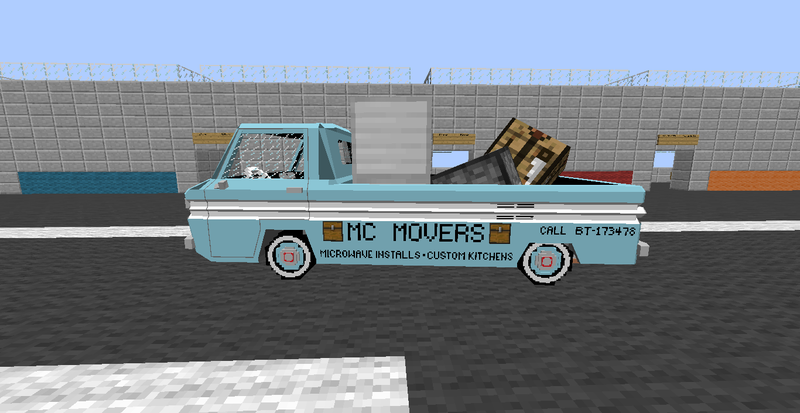 I would also like to ask permission to add your vehicle packs to my mod pack that might end up public. also.....you must tell me how you got it to fly. 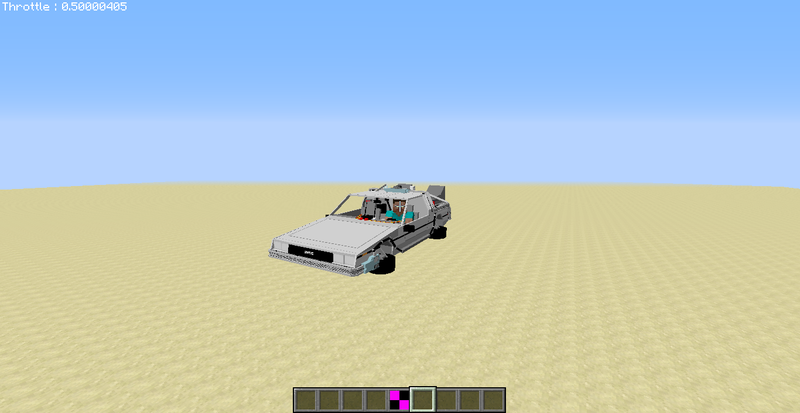 i see you are working on a flying delorean, well the hype train is rolling out and a hype train i have for a minecraft roleplay map for 1.8 im making and do you think that a 1.8 version of this pack will be in the future anytime soon? if your using it on 1.8 then it tends to do that, something to do with the hitboxes changing from 1.7 to 1.8. 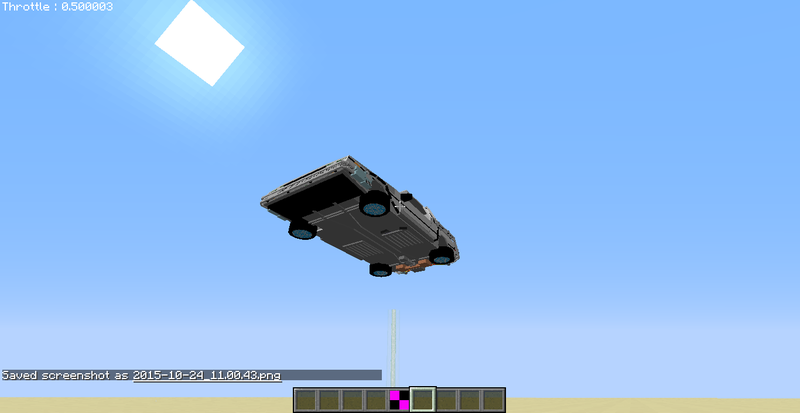 I still would like to know how to get that damn car to fly lol. [EDIT] I put a request in your Project velocity thread but would love to see this added here as well, a 1986 pontiac parisenne station wagon if requests are allowed. 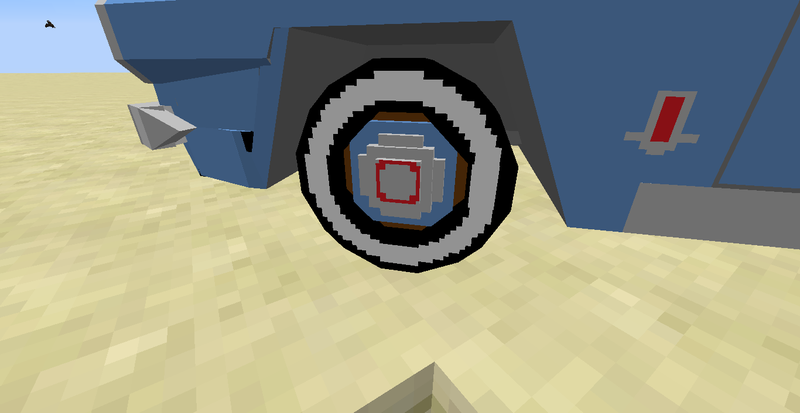 I will revise the packs for 1.8 at some point. 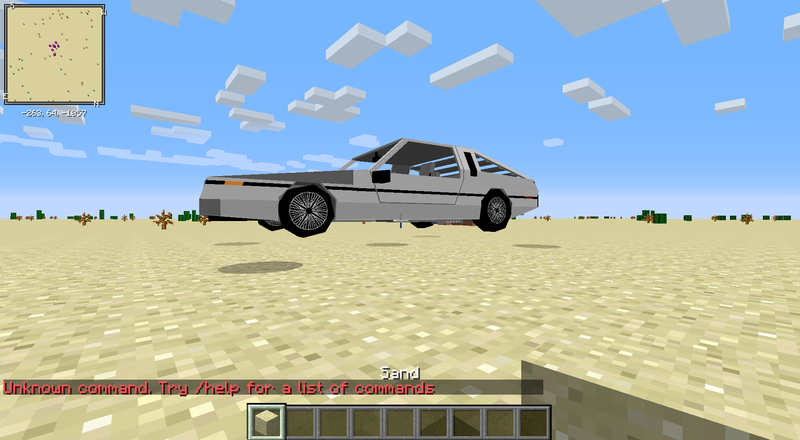 I'm not sure if the flying DeLorean is in the current IMC pack or not. However I am currently focusing on Project Velocity, and getting one model out per week minimum, so I cannot say when I will get around to the revision. As for the flying DeLorean, it is technically a Helicopter. As for the wagon, I plan on doing the Family Truckster from vacation, but again, I cannot say when, because I'm focusing on PV. ... 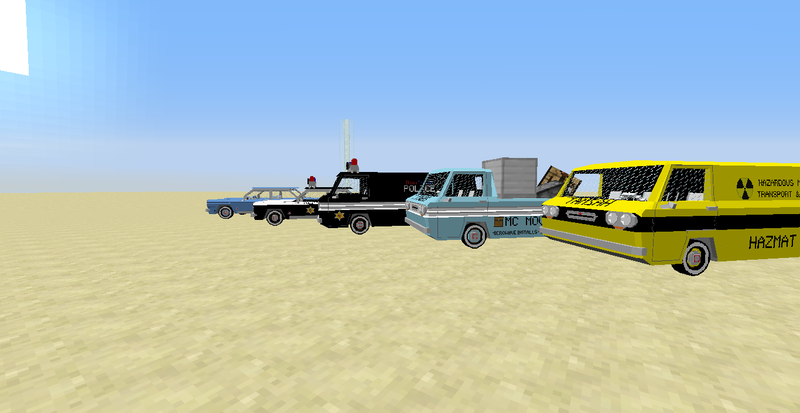 I would also like to ask permission to add your vehicle packs to my mod pack that might end up public. 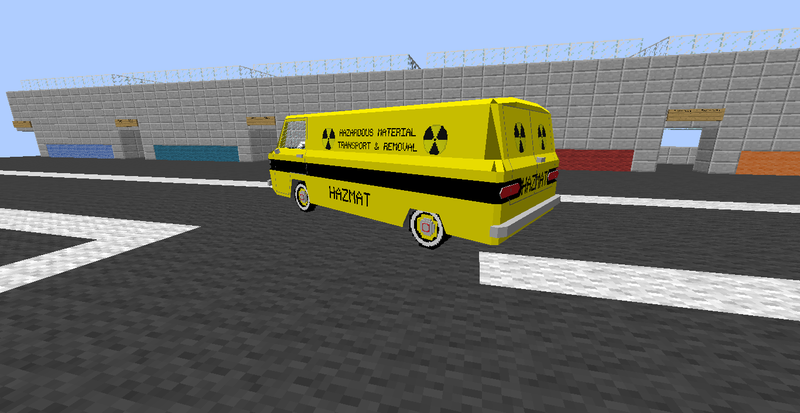 I would like to make mention that in your updated civil pack (the Black Thorne one) there is a white van that has no icon, it's just the black and pink/purple cube. [EDIT] Correction, it's the pedo van (I say that because it has *FREE CANDY* badly written on the side of it). 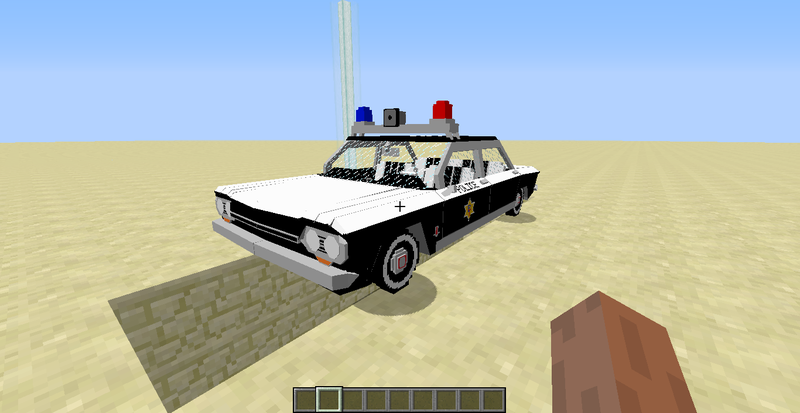 and the *Iconic Movie Vehicles* pack still crashes when you try to select one of the three cars in the vehicle crafting table. 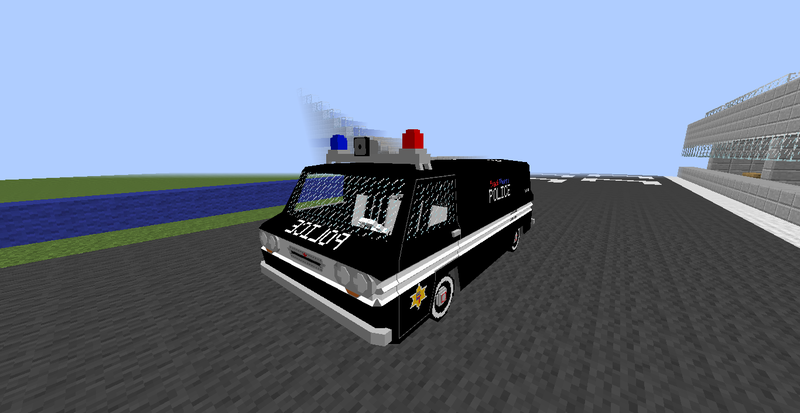 The Pedo van is an easter egg of sorts, and I am currently revising the Iconic Movie Vehicles Pack, which will be renamed to Iconic Film Vehicles, because I will include television cars as well. I would lust like to say Dr_prof_luigi, thank you, your updated packs on the flans mod content site is cool, I THINK some of the vehicles were removed from a prior pack (unless i'm going insane and removing the wrong pack) and I noticed some items have the missing icon in them, only about 3 but it might not be your content pack, but the biggest thank you of all is the fact that (even though mine is a 1986 and yours is a 1979) you got my station wagon in game! [EDIT]I know i'm being nit picky, but my wagon has a split bench seat in the front, looks like a bench seat with a split to one side, so technically it's an 8 seater with 3 in the front lol, still, very happy seeing it and a very detailed model, even the under side is very well done. [EDIT2] I wanted to mention, in 1.7.10 there are crafting crashes with some of the new models, i'm trying to fix it from the old version of the pack, I just wanted to let you know.